Android technology phones and tablets can be quite easy to use in some situations and may be quite difficult in times when you get mixed up in the countless features the phone offers. Some useful and handy Android tips and tricks which the user can adopt for easy operations are now outlined below. One basic tip to call your favorite contacts at one tap is offered in the Android phone which allows you to create an icon for the contacts on the Home screen of your Android set. To creat an icon, press and hold any empty place on your screen. A menu will pop up in which you select the Shortcuts > Contacts. Simply scroll down your phone book and tap on the contact for which you wish to create a shortcut. 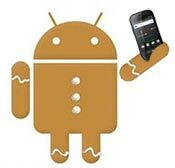 Latest versions of the Android phones holds the option of talk and type which means you do not have to type with your fingers. All you have to do is to tap on the mic option located next to the search bar and simply record your message you want to deliver. The rest of the work will be done by the Android phone. The best part of using Android phones is that you can save any file in your smartphone’s internal memory but you may find it difficult to locate them once they have been transferred. For this purpose, it is useful to download a file manager which helps you to locate and ultimately sort out the files. Activation of the Android’s storage mode can be practically made possible when you plug in your computer system with your phone using a USB cable cord. This feature helps you to transfer files from the computer to your phone memory and you are able to take your important files with you wherever you go. A cool feature of the Android phone is its power widget through which access to gain control over the features which consumes the battery to the highest limit such as the Wi-Fi, Bluetooth and GPS. Through these widgets you can easily manage the apps at one tap without the hassle of digging into the phone. In order to gain quick and fast access to special characters during your typing, a tap can do the work. All you have to do is to tap and hold the period key which when then lead you to a pop up menu in which all the commonly or frequently used special characters are placed. With the help of the connection between the Chrome and to the Android phone app, you are able to send messages, links and phone numbers from the browser to the smartphone. You can download the app for free from the app market and the extension for the Chrome feature. With the installation of the social network apps on your Android phone such as the Facebook, LinkedIn, Flickr and Twitter, the option of synchronizing the information with the contacts of your phone is enabled. The tip is easy. After downloading the app, all you have to do is to Settings > Accounts and Sync for starting up the process. 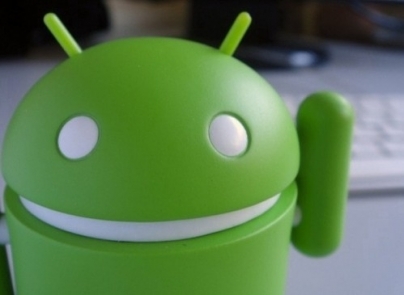 The Android phone market is still facing the threat of malwares and viruses. These malwares are transferred into the phone via the apps. In order to avoid this situation, download Lookout mobile security on your set as it scans up all the apps and other tranferring files into the Android set for viruses and malwares and warns against any potential virus infected file or app. Although, the browser provided in the Android phone set is quite decent and has many useful features, still the option of using an alternate browser such as the Mozilla Firefox is provided which includes the features of syncs and tabbed browsing with the desktop. Use the DropSpace app for auto synchronization and storing of files into your phone’s dropbox account. This will save you the time and work you do to plug in your phone into your computer system in order to transfer files from one to another.